The low weight of the autoCOLLECT systems is optimum for the mobile usage as a sample collector. 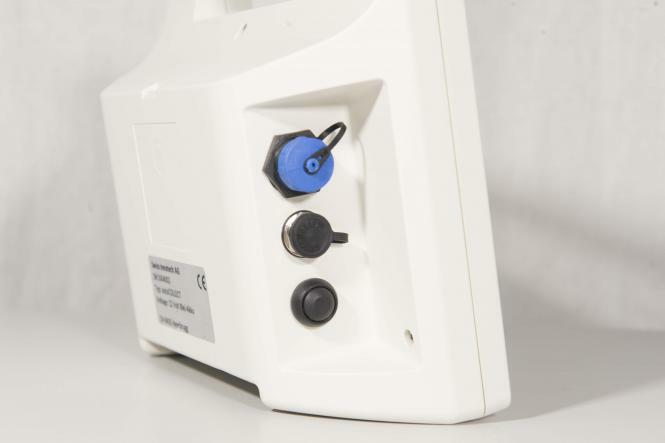 The retention of samples from gases is ensured by high-active pyrographite-balls with a surface volume of 1200 m2/g. 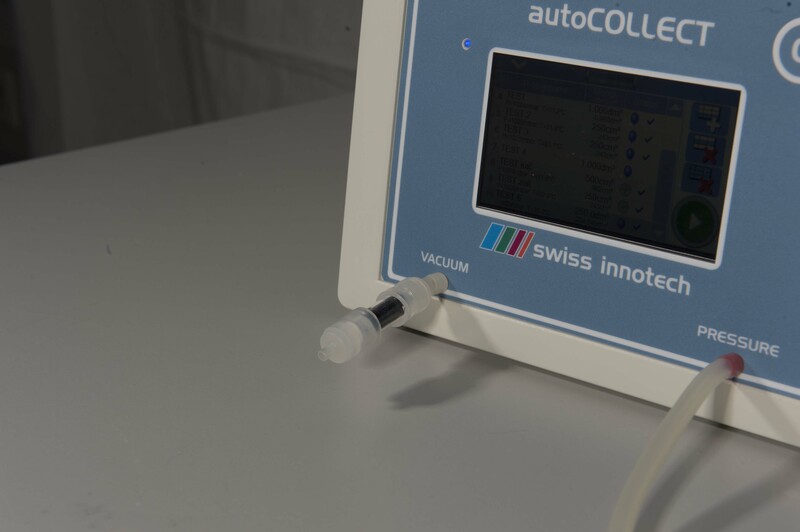 The adsorptive binding at the surface of the species can be broken by thermal desoption in different detection systems like AAS, ICP or in case of organic molecules in chromatographic devices (GCMS, HPLC, etc.). To the best advantage is the usage in high-perfomance direct mercury analyzers. The adsorption material, called adsoQUICK is used in quarz-tubes for elemental analytics like heavy-metal determination. In case of analysing organic species specially designes alumina-tubes were applied. Due to easy exchangable volume measuring-bags different gas volumes are precisely measured and automatically converted to normal temperature- and pressure conditions. 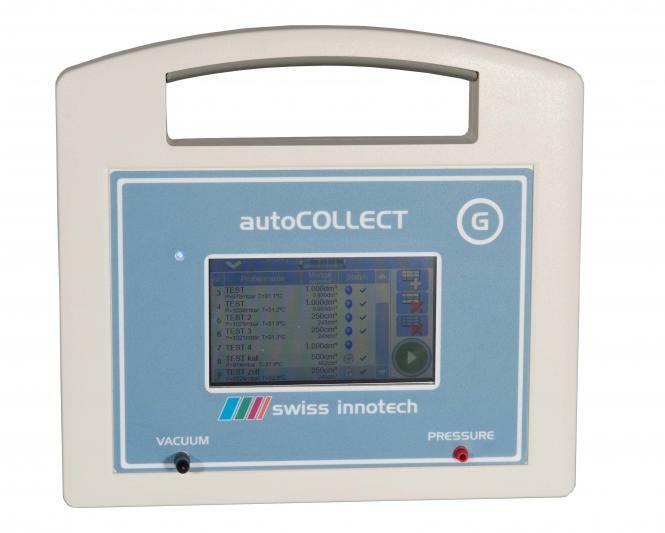 The unique points of autoCOLLECT-G are the low weight, the high measuring precision of the gas quantity with help of the built-in precision-pump and the automatic temperature and pressure compensation. 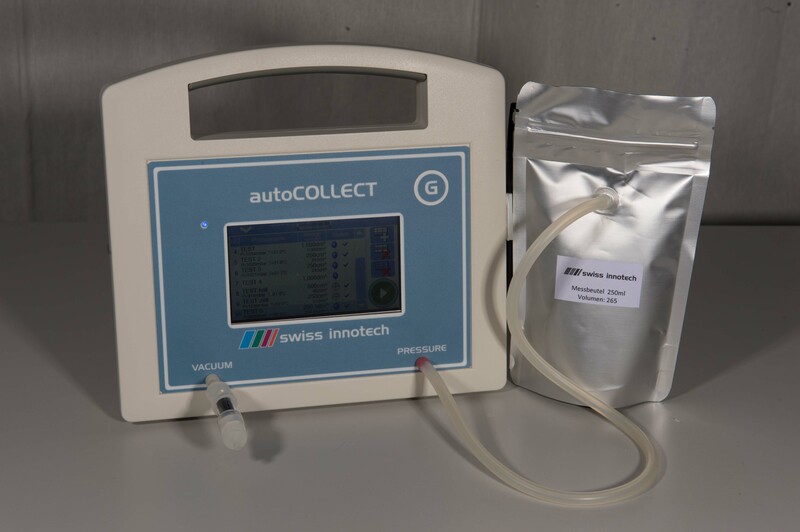 The integrated lead-battery allows a sample collecting up to 8 hours in the field. 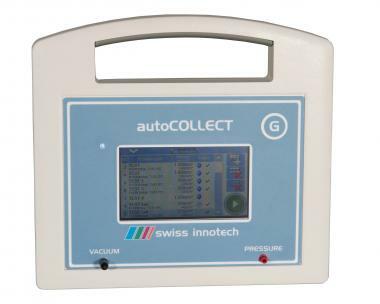 autoCOLLECT delivers the highest volume measurement accuracy with minimum cost.